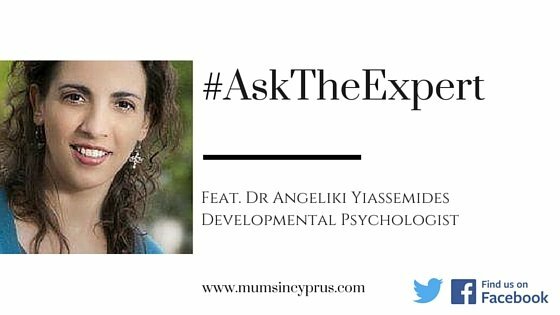 #AskTheExpert: Dr Angeliki Yiassemides – Let them Play! Why do you say ‘Let them play’? Aren’t our children already playing all day? Here’s the paradoxical thing about play: it’s taken for granted, but it’s also under-rated! We read constantly about the lack of play in the everyday life of young children; and yet in our own families and schools we don’t allow for this precious aspect of development. Instead we wonder how to ‘boost’ our kids’ activities by planning more on their already over-scheduled day. We also have a collective attitude about our obsession with such activities: “it’s necessary” seems to be our mantra when we are confronted with our kids’ exhaustion and lack of free time. I have seen this happen all over the world – from New York City, to London, to Cyprus; it’s the same attitude. So what is it about parents that can explain this schizophrenic attitude? First of all let’s mention ‘the generational gap’. I’m in my forties, and I grew up in Cyprus. This essentially means that on any given day my mom did not expect me to be home; she expected me to be somewhere other than home. And that meant outdoors! I have two kids and I do not foresee this to be the case when they are ‘old enough’, i.e. to be able to find their way back home before sunset after a day of freedom and outdoor fun, unless my mothering goes astray. Even in Cyprus – which was voted one of the safest places to raise kids (I have my doubts, but I that’s for another post) – what “playing” means for children has changed dramatically. But we’re not talking about outdoor playing (again, let’s save that for another time). We are talking about playing, as in an unstructured, enjoyable, free activity that a child engages in because he feels like it; just because! But why is free play so important? We have somehow decided that it’s of less value to engage in free play than to participate in a structured purposeful activity. And that is a very bizarre belief. If we want to be ‘academic’ about it, it has been proven time-and-time-again that the most creative and innovative moments come about while the mind is free to play. (And that holds for adults as well). As Einstein said “Play is the highest form of research”. Even if that is not the reason you over-schedule your child – i.e. perhaps you’re not all that concerned about the production of creative thoughts – a child’s mental health depends on play. Does this reminds you of something? Your life, perhaps? That sounds very alarming! So how can we fix this and what do you recommend? We, adults, have basically decided that it’s best to skip childhood. It would be more realistic to build a house without foundations. A child’s JOB is to play. It is only through play that a child learns, creates the necessary neural connections, builds on existing knowledge, tests what he believes to be true, experiments with the surrounding environment. I recently read a quote by Plato that made me realize how far off we are from the ‘essence’ of childhood: “The most effective kind of education is that a child should play among lovely things”. Our children might be surrounded by beauty, but unless they are allowed to freely interact and play among their surrounding there’s no value in terms of their education. Let’s make a conscious decision to give them their childhood back: let them play on a daily basis. It’s perhaps the most effective and rewarding decision we’ll ever make as parents. Wow! Some real food-for-thought here. An issue of such great consequence that isn’t being given enough attention by us parents, teachers, schools or the wider society in which are children are learning, developing and growing. As you so rightly put it – it’s time to look at the root of the problem, rather than trying to cure the resulting issues that stem from this decline in free play (and essentially, of ‘childhood’ itself). Thank you so much Dr Angeliki Yiassemides, for sharing with us your passionate and informed opinion on the matter. Looking forward to hearing from you again in the future!